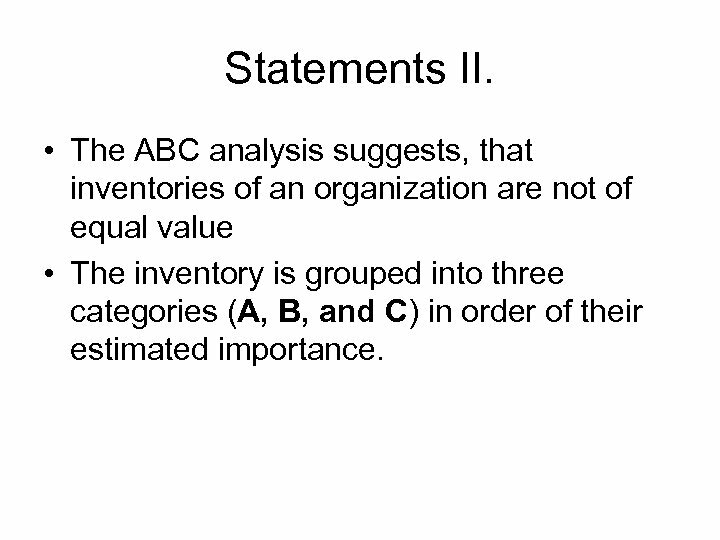 Statements I. 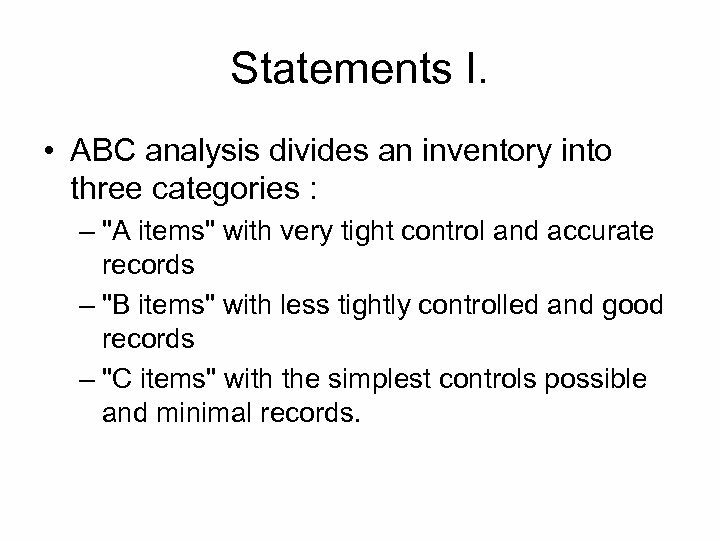 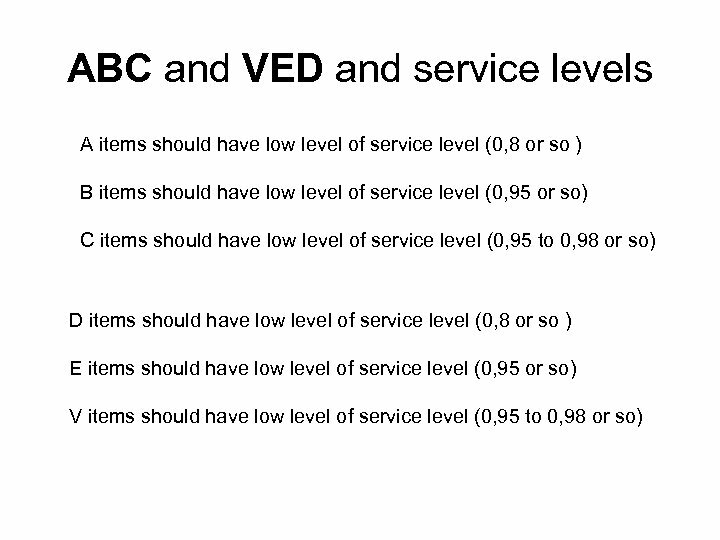 • ABC analysis divides an inventory into three categories : – "A items" with very tight control and accurate records – "B items" with less tightly controlled and good records – "C items" with the simplest controls possible and minimal records. 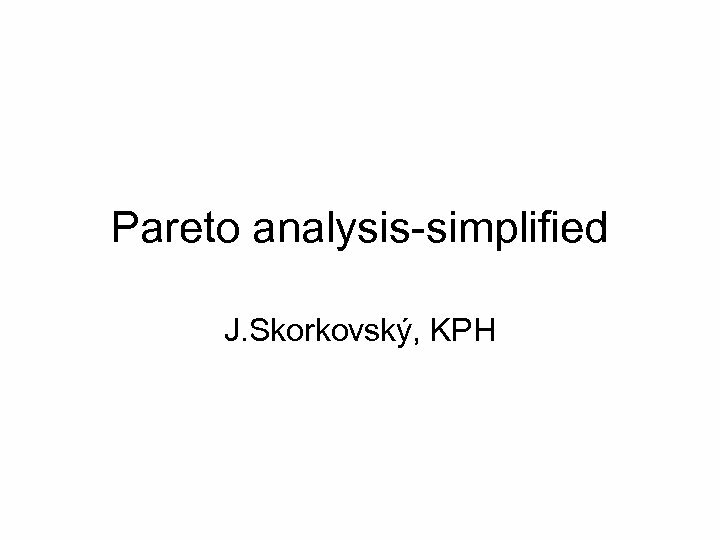 Statements II. 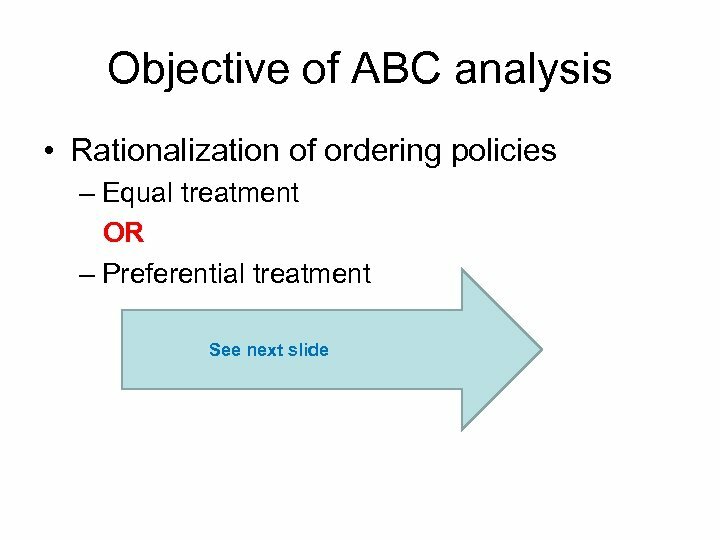 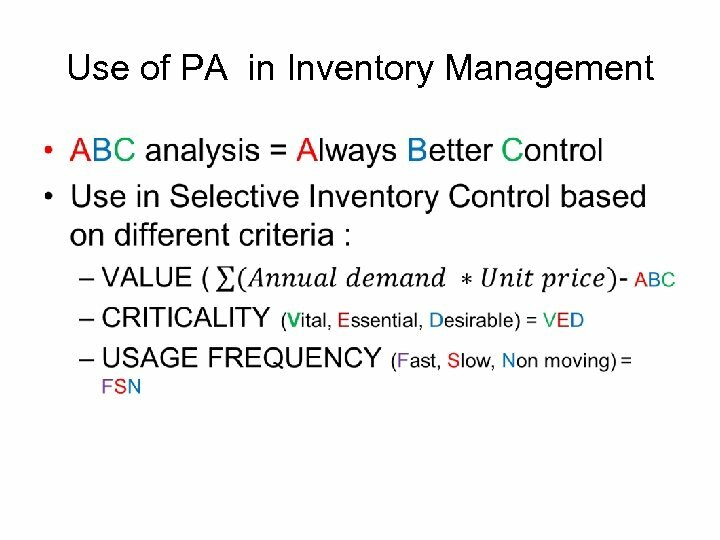 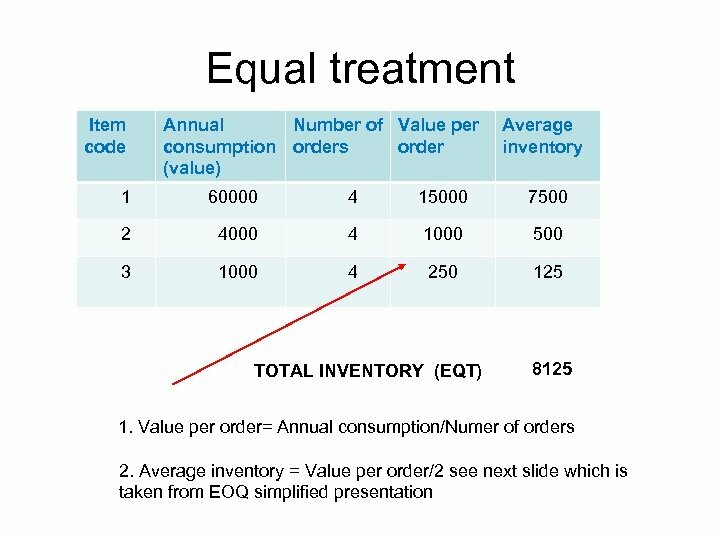 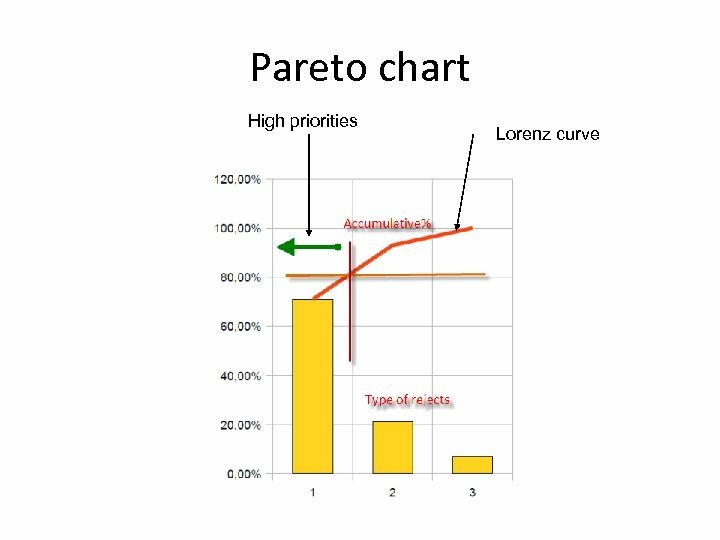 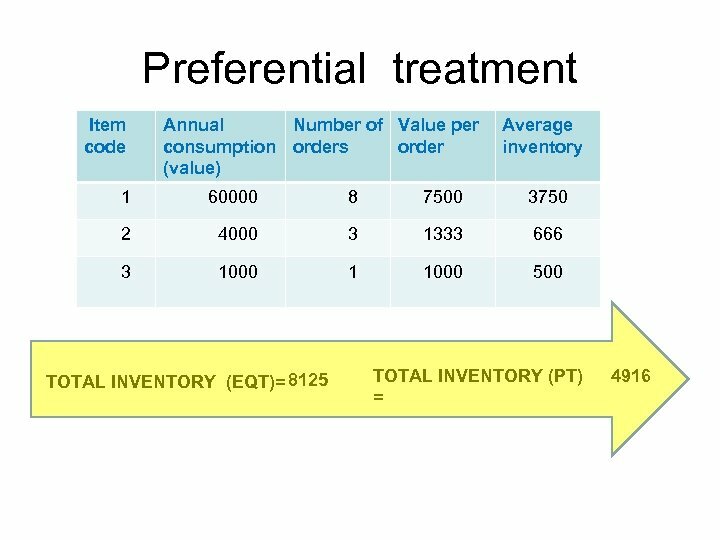 • The ABC analysis suggests, that inventories of an organization are not of equal value • The inventory is grouped into three categories (A, B, and C) in order of their estimated importance. 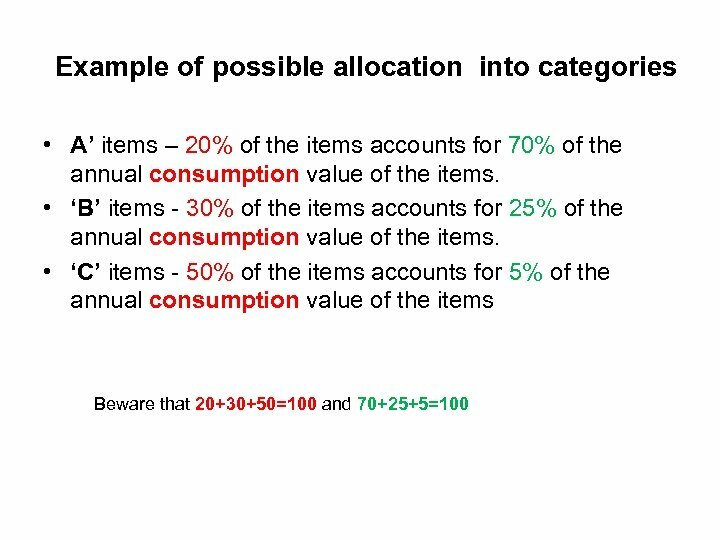 Example of possible allocation into categories • A’ items – 20% of the items accounts for 70% of the annual consumption value of the items. 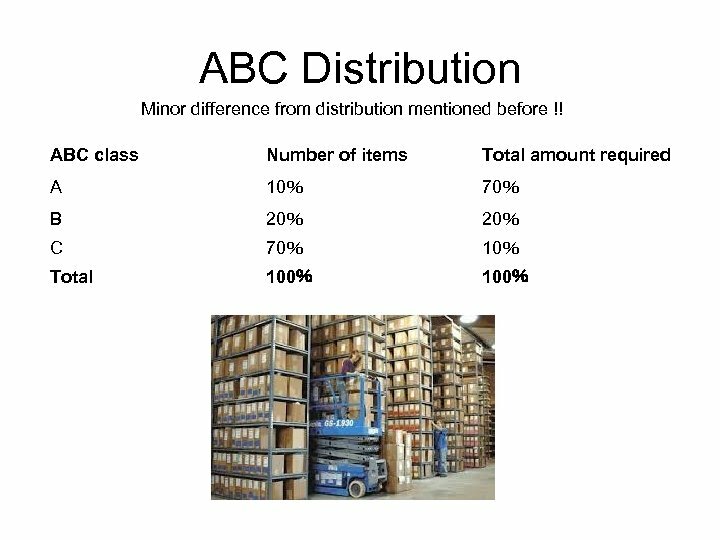 • ‘B’ items - 30% of the items accounts for 25% of the annual consumption value of the items. 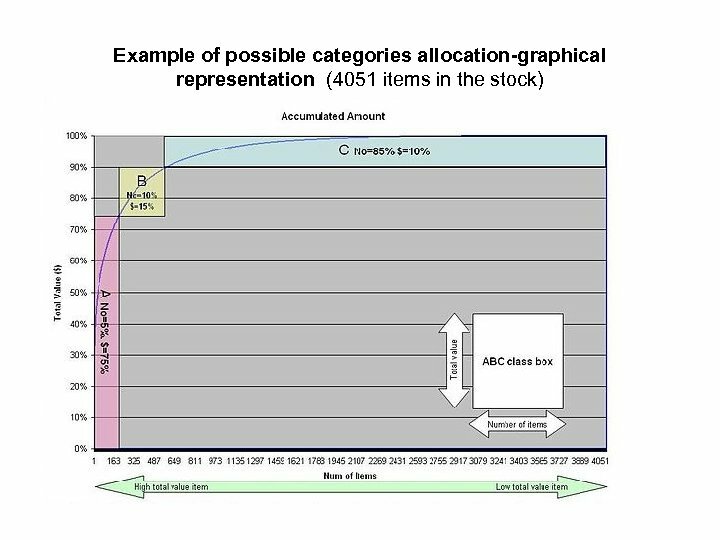 • ‘C’ items - 50% of the items accounts for 5% of the annual consumption value of the items Beware that 20+30+50=100 and 70+25+5=100 !! 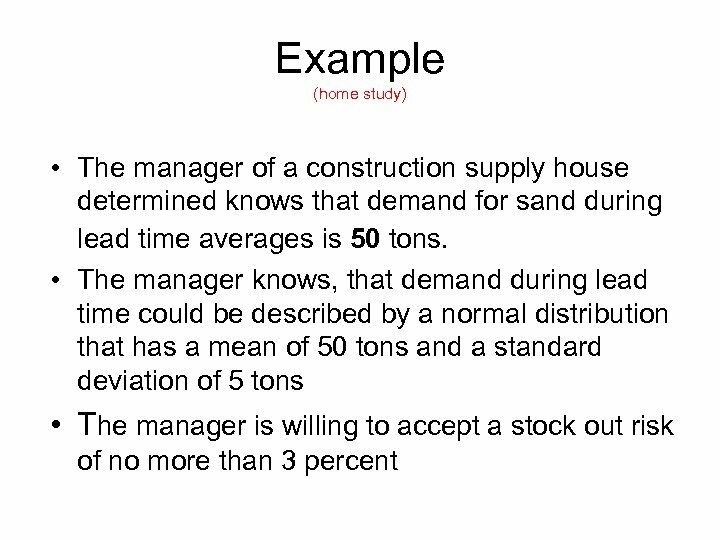 Example-data (home study) • Expected lead time averages = 50 tons. 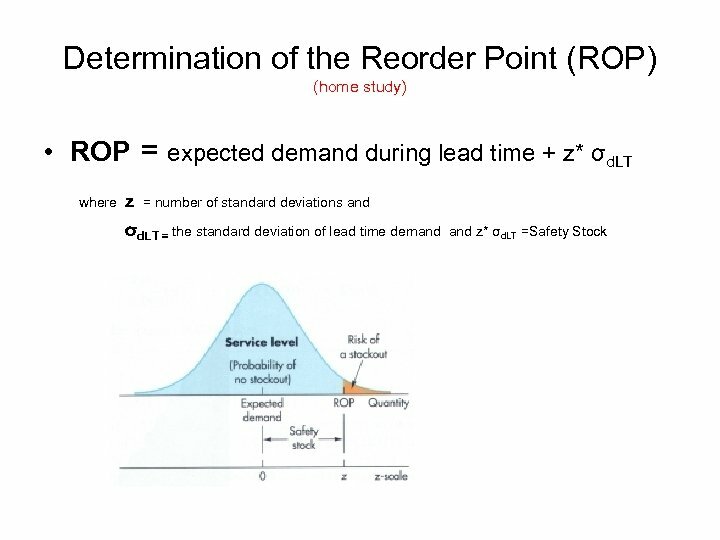 • σd. 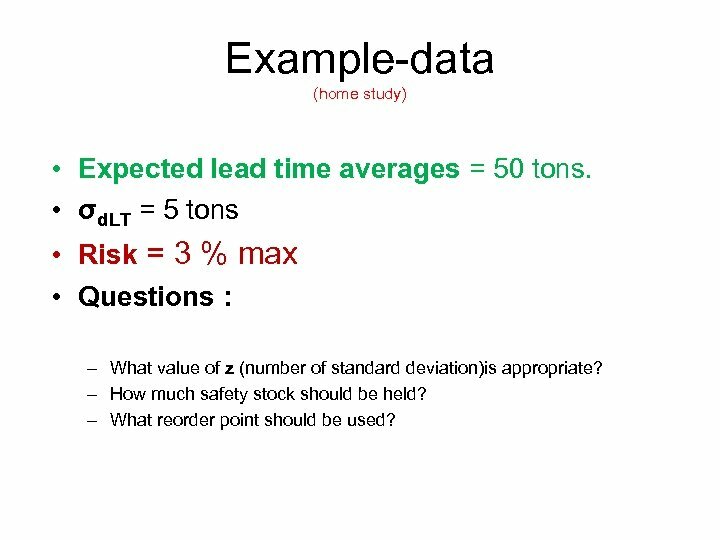 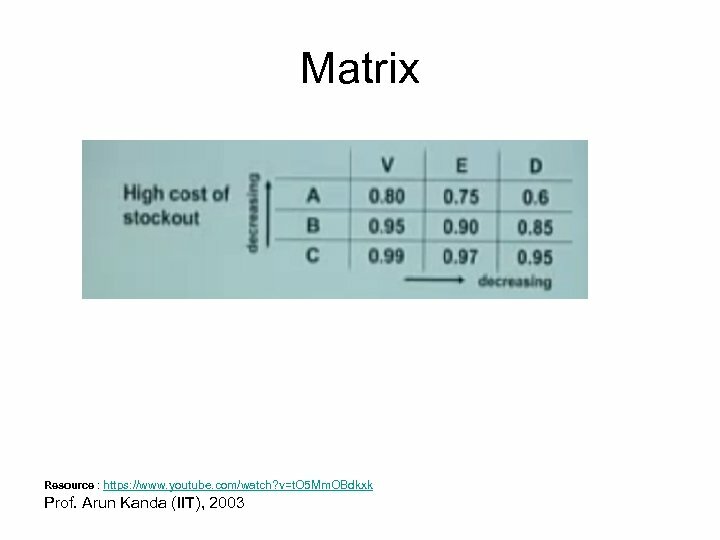 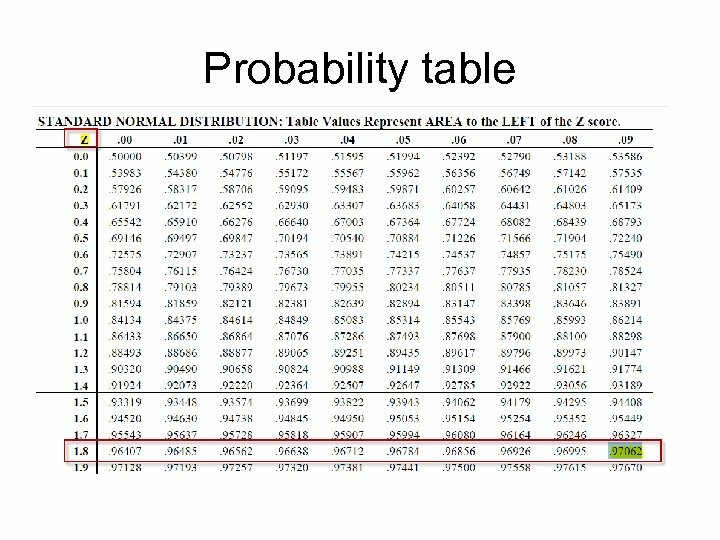 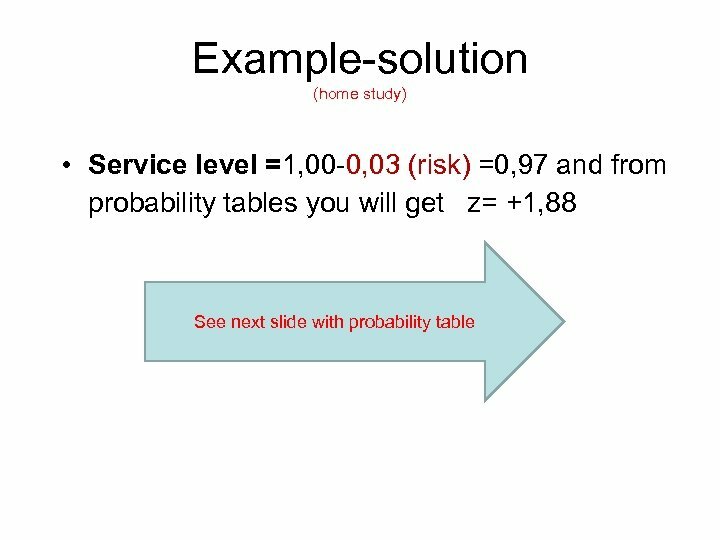 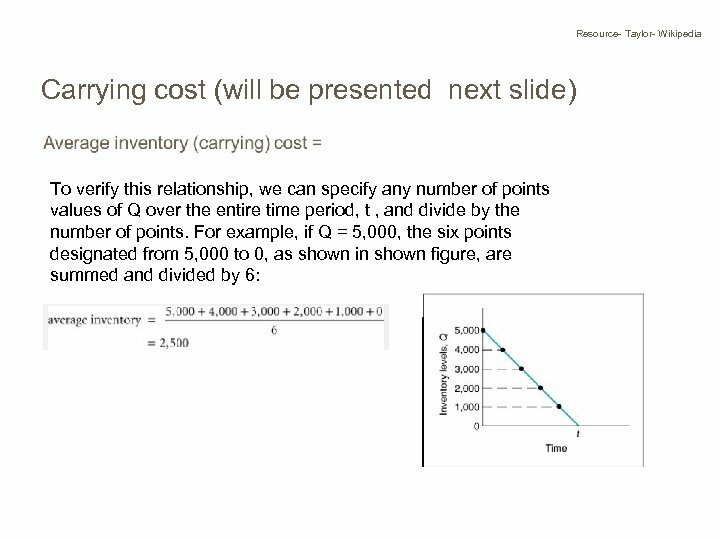 LT = 5 tons • Risk = 3 % max • Questions : – What value of z (number of standard deviation)is appropriate? 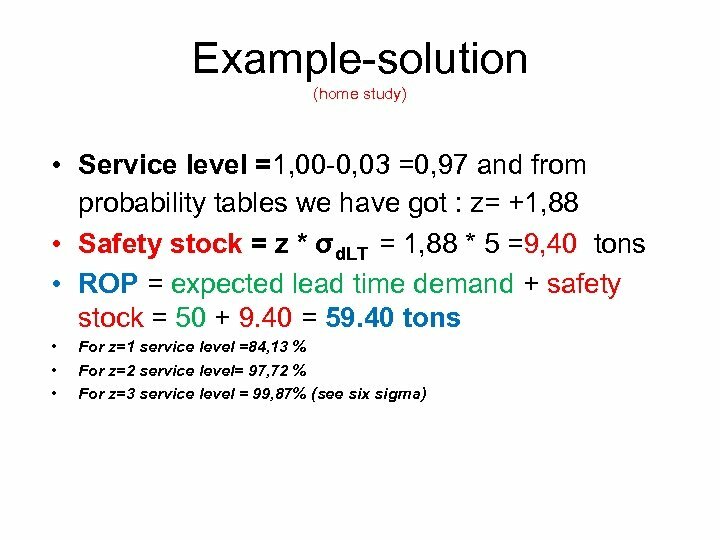 – How much safety stock should be held? 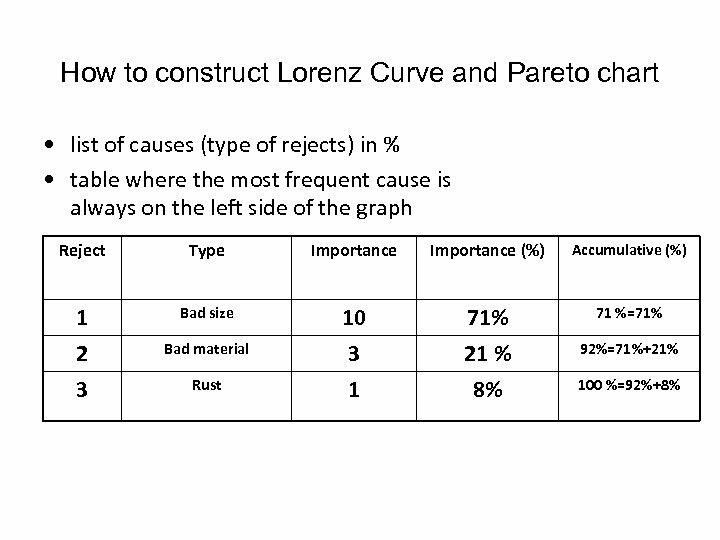 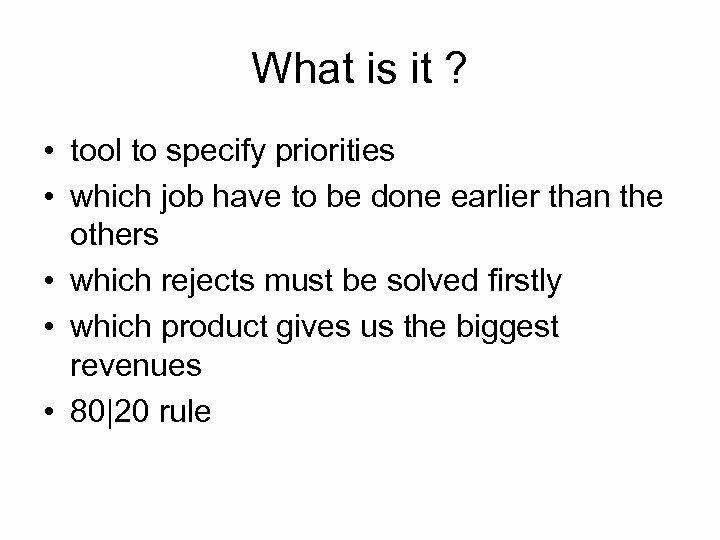 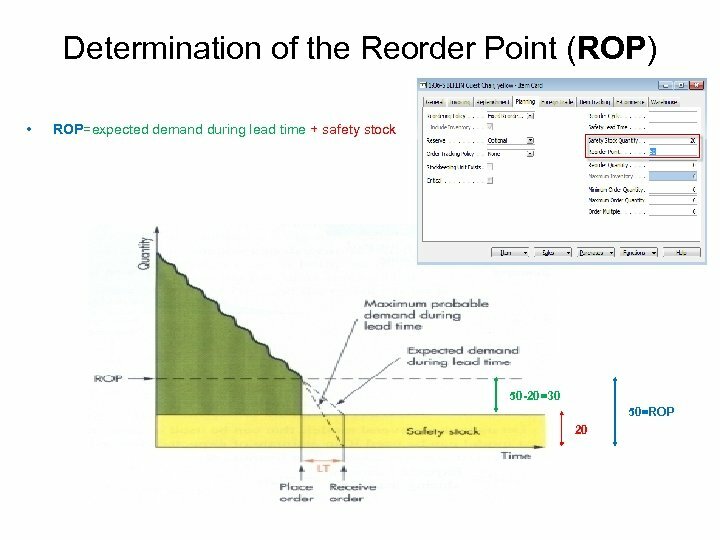 – What reorder point should be used?